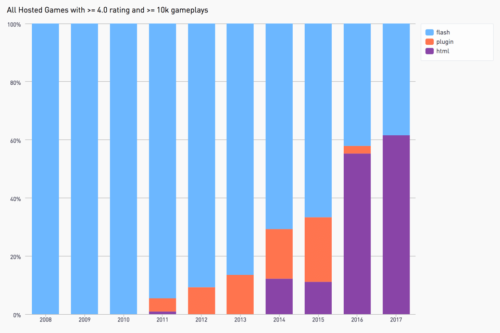 Kongregate’s data shows that on average, about 55% of uploaded games are HTML5 games. 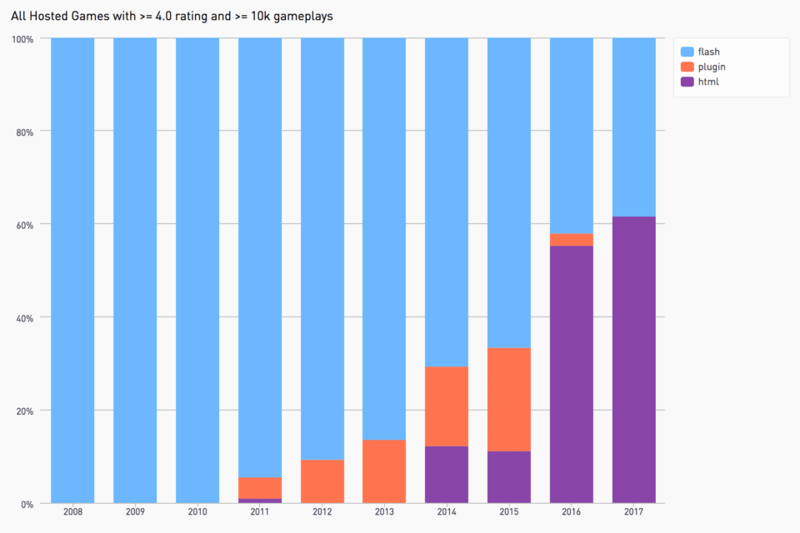 And we can also see that these are high-quality games, with over 60% of HTML5 titles receiving a “great” score (better than a 4.0 out of 5 rating). In spite of this positive trend, opportunities for improvement exist. The web is an ever-evolving platform, and developers are always looking for better performance. One major request we have often heard is for multithreading support on the web. SharedArrayBuffer is a required building block for multithreading, which enables concurrently sharing memory between multiple web workers. The specification is finished, and Firefox intends to ship SharedArrayBuffer support in Firefox 55. Another common request is for SIMD support. SIMD is short for Single Instruction, Multiple Data. It’s a way for a CPU to parallelize math instructions, offering significant performance improvements for math-heavy requirements such 3D rendering and physics. The WebAssembly Community Group is now focused on enabling hardware parallelism with SIMD and multithreading as the next major evolutionary steps for WebAssembly. Building on the momentum of shipping the first version of WebAssembly and continued collaboration, both of these new features should be stable and ready to ship in Firefox in early 2018. 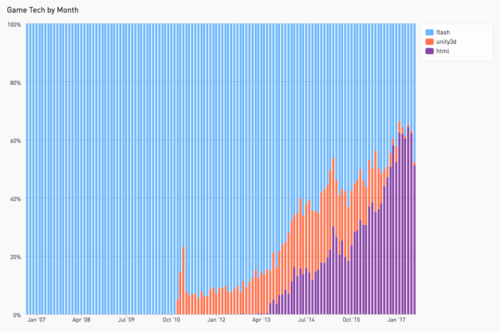 Much work has gone into optimizing runtime performance over the last few years, and with that we learned many lessons. We have collected many of these learnings in a practical blog post about porting games from native to web, and look forward to your input on other areas for improvement. As multithreading support lands in 2018, expect to see opportunities to further invest in improving memory usage. We again wish to extend our gratitude to the game developers, publishers, engine providers, and other browsers’ engine teams who have collaborated with us over the years. We could not have done it without your help — thank you! As a thought leader in the world of web gaming, I hope that you all are reaching out to the folks who build web game engines like Unity, Construct2, PhaserJS, and Gamemaker to make sure that they are making the best use of the latest technologies to make the games they generate the fastest, most performant that they can. It would be great if there was a baseline game that Mozilla created the specs for, that each engine maker could implement in their own engines to compare and identify performance issues. Andrew, we have indeed been working with folks all across the industry, including many of the web game engines you mention. They’ve been great partners, and you can see the results in their support for the web. We’re web developers and not game developers, so we prefer to work with game developers and engine providers to make their real-world products work well (versus optimizing around whatever strange gamelike thing we might come up with). But rest assured we are deeply engaged with the industry! When is plan plan to move to OpenGLES 3.1, that would bring Compute Shaders.